At every Woo location, we offer a full range of spa and makeup services. 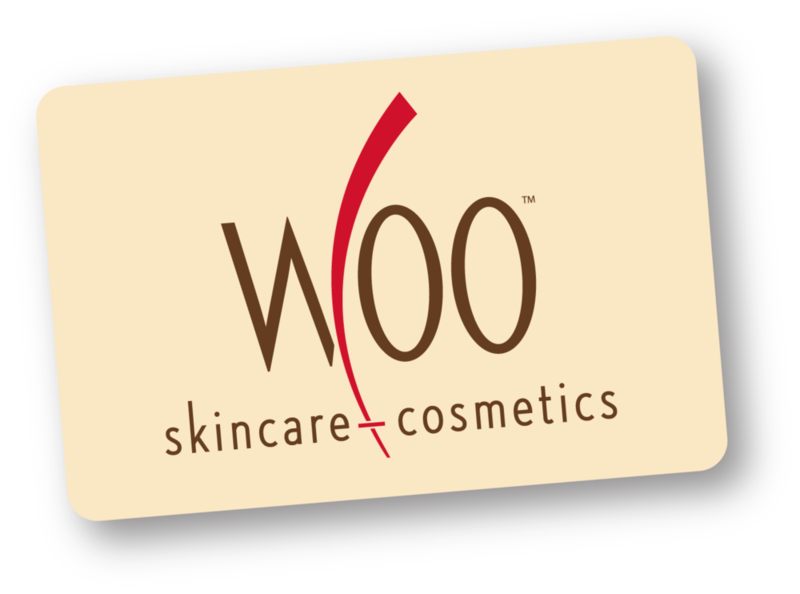 Whether it’s a monthly facial, a special skin treatment, waxing, brow shaping, or makeup for a special occasion — you’ll find it at Woo. Service selections may differ by location, so check the service menus here — and contact your preferred location to book your appointment. The procedure combines dermaplaning with a chemical exfoliation to reduce signes of fine lines, wrinkles, dullness and visisble skin imperfections. A facial that incorporates a hydrating mask containing collagen and hyaluronic acid for all skin types. The mask is targeted for the treatment of dry, irritated and/or damaged skin. Our light-as-air formula penetrates the skin and release pure o2xygenation molecules into the epidermal layer to re-energize natural cellular functions and eliminate toxins. Uses phyto-therapeutic extracts to soften, soothe and combat hyper-sensitive skin and visibly improve dilated capillaries, skin congestion and redness. Instantly revitalizes and refreshes the skin. This cutting-edge treatmentuses CO2 to produce an explosion of oxygen that results in a visible lift and exhilaration of the skin. Instantly revitalize and refresh skin! This cutting edge treatment uses CO2 to produce an explosion of oxygen that results in a visible lift and exhilaration of the skin. HydraFacial® is a non-invasive, non-surgical procedure that delivers instant results with no discomfort or downtime. The HydraFacial® resurfacing procedure thoroughly cares for your skin, providing cleansing, exfoliation, extractions, and hydration, including Vortex-Fusion® of antioxidants, peptides, and hyaluronic acid. Enhancement to the 4 Step HF that provides immediate and long term results for fine lines and wrinkles, especially excellent for treating around the eye area and neck, and an excellent option for special events. LED Light Therapy stimulates your cells, increasing production of collagen and elastin. Red LED light improves skin firmness while reducing the appearance of fine lines, wrinkles and hyperpigmentation. Blue LED light is beneficial for people who suffer from oily skin or breakouts. The Red and Blue lights used together are great for treating rosacea. PLEASE REFRAIN FROM USE OF RETINOIDS ONE WEEK PRIOR TO FACIAL WAXING AND PEELS. Makes natural lashes appear longer and fuller without extensions (lash tint included with treatment). Please be mindful of our 24-hour cancellation policy. A fee will be charged on cancellations made less than 24 hours before a scheduled appointment. *PLEASE REFRAIN FROM USE OF RETINOIDS AND TOPICAL MEDICATIONS 3 DAYS PRIOR TO FACIAL PEELS AND 1 WEEK PRIOR TO WAXING SERVICES. Natura Bisse’s signature facial uses a unique combination of enzymes, oxygen and glycolic acid for outstanding results. This detoxifying, purifying, stimulating and rejuvenating treatment results in radiant, luminous skin for all skin types. Instantly revitalize and refresh the skin! This cutting edge treatment uses CO2 to produce a burst of oxygen that results in a visible lift and exhilaration of the skin. The ultimate facial to awaken your senses, infuse your cells with energy and lift away wrinkles. A unique glycolic acid treatment is followed by a lavish massage and two masks to boost collagen production and reveal a firm, hydrated and radiant appearance. This nourishing treatment will encourage skin's self-repair and will result in supple, nourished and hydrated skin. Boosts collagen production and stimulates circulation to detoxify skin and bring forth a radiant glow. This enhanced, restorative treatment utilizes the effective Pigment Balancing Peel to combat the signs of sun damage and aging skin. Evens skin tone, lessens fine lines, firms, and delivers a refined, radiant glow. A pen that "zaps" dark spots. The immediately effective HydraFacial® resurfacing procedure thoroughly cares for your skin, providing cleansing, exfoliation, extractions, and hydration, including Vortex-Fusion® of antioxidants, peptides, and hyaluronic acid. The HydraFacial® is a non-invasive, no-surgical procedure that delivers instant results with no discomfort or downtime. NOTE: Only available at Woo Peachtree Battle. A procedure used to remove the top layer of skin revealing new, clear skin. This treatment minimizes the appearance of pores, scars and photo damage without chemicals. Helps clean pores and the production of new skin cells. NOTE: Only available at Woo West Paces Ferry. *PLEASE REFRAIN FROM USE OF RETINOIDS AND TOPICAL MEDICATIONS 1 WEEK PRIOR TO WAXING SERVICES. Please be mindful of our 24-hour cancellation policy. A 50% fee will be charged on cancellations made less than 24 hours before a scheduled appointment. This ultimate anti-aging treatment combines aromatherapeutic benefits with phyto drainage, deep tissue massage and two custom masks to leave your skin toned, tightened, lifted and refreshed. A powerful treatment that works to visibly improve dilated capillaries, skin congestion and redness. Uses phyto-therapeutic extracts to soften, soothe and combat hyper-sensitive skin and restore its health and beauty. PLEASE REFRAIN FROM USE OF RETINOIDS ONE WEEK PRIOR TO FACIAL PEELS. PLEASE REFRAIN FROM USE OF RETINOIDS ONE WEEK PRIOR TO FACIAL WAXING.